What’s the Fate of those who have Never Heard the Gospel? What’s the fate of those who have never heard? These are all really good questions and the answers to them may never satisfy us. These questions are ultimately questioning God’s rationale for condemning sinners to hell. From Scripture we know that it is not God’s desire for humanity to perish in hell. For example, in Ezekiel 33:11 the Lord says, “I take no pleasure in the death of the wicked, but rather that they turn from their ways and live.” Peter also writes, “He is slow with you, not wanting anyone to perish, but everyone to come to repentance” (2 Peter 3:9). Since this is the heart position and desire of God, it is difficult for us to understand how and why he can then sentence members of humanity to eternal damnation. God must do this because he is not only loving, righteous, and merciful, but also just. These questions come from a knowledge that God has provided a way out from eternal death, and that is through having faith in Jesus Christ. But what about those who have not heard about Jesus to have faith in him? Since they didn’t receive an opportunity to hear the good news of the “way out” do they have a different standard of judgment or a different punishment than the rest? General Revelation is given to everyone. These questions fail to recognize that God has revealed himself to everyone, even those who have not heard the Gospel message. 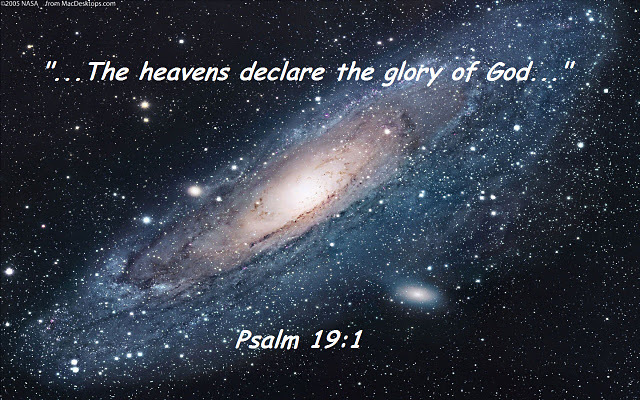 God has revealed himself in two different ways, general revelation and special revelation. General revelation is what God has revealed about himself from what he has created. Romans 1:18-20 says, “The wrath of God is being revealed from heaven against all the godlessness and wickedness of men who suppress the truth by their wickedness, since what may be known about God is plain to them, because God has made it plain to them. For since the creation of the world God’s invisible qualities—his eternal power and divine nature—have been clearly seen, being understood from what has been made, so that men are without excuse.” This means that God’s general revelation places everyone in a state of guilt for their sins. Everyone is left without excuse. Special revelation is required for salvation; general revelation itself is not enough for salvation. Special revelation is God’s direct communication of himself to mankind through his word and through the person of Jesus Christ. 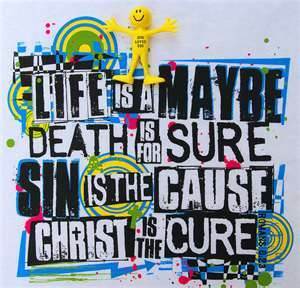 Faith in Christ is explicitly required for salvation, as Jesus said, “I am the way and the truth and the life. No one comes to the Father except through me” (John 14:6). That’s what burns! We’ve fallen short. We deserve eternal death. God has paved a way for salvation for mankind through the person of Jesus Christ. For us to have that salvation, we have to hear the good news of that salvation and believe it! But not everyone hears, yet they’re still guilty because of general revelation. Everyone is left in a guilty state before God with no excuse and in need of Jesus for salvation. We ought to be thankful for a second chance at all! Because God is not at fault in our sin, and because God suffered dearly in the process of bringing about salvation for mankind, who are we to question him? God didn’t need to give anyone a second chance, but he did and he still does. If God chose to damn everyone, he would still be holy and just. Who are the people who still need to hear the Gospel? These questions seem to imply that the people who have not heard the Gospel are going to perish and suffer hell, not because of their fault, but because of God’s fault or the fault of the church for not sharing the Gospel with them. This is totally, and utterly, not true. Those who have not heard the Gospel are sinners! They still deserve eternal punishment for their sins, and general revelation leaves them without excuse. For people who question and complain about the people who have not heard the Gospel of Jesus Christ, there is a “numbers” response. Essentially, the numbers tell us that there are more people living now than ever before. There are more Christians in this world than ever before. We can travel to far off lands and communicate with more people all over the globe without even leaving our house because of the Internet. This means that in this period of time, more Christians can reach more people than ever before in history. This means it is time for Christians to quit asking why and what if about the unevangelized from the past, present, or future, and simply get to work sharing the Gospel. The response to this, I feel, is pretty simple. They could be engrafted into the nation of Israel. Rahab, the prostitute (Joshua 2), and Ruth, the Moabite (The Book of Ruth), are both prime examples of how Gentiles were included in the nation of Israel. The Israelites before Christ still had faith in Christ. The ones who received salvation had faith in the promises about Christ’s coming. They recognized that they had broken God’s law and they trusted that he would show them mercy. These promises date all the way back to the beginning of time, right after the Fall, when God promised that the offspring of Eve would crush the serpent’s head. (Genesis 3) Or the Abrahamic Covenant. (Genesis 12, 15, and 17) Or the Lion of the Tribe of Judah (Genesis 49). Or the promise given to David. (2 Samuel 7) Since Jesus has been revealed, faith now is placed in him and not the prophecies of his coming for salvation.